This mid sized mini is spicy. Warm hues will heat up your day or night. 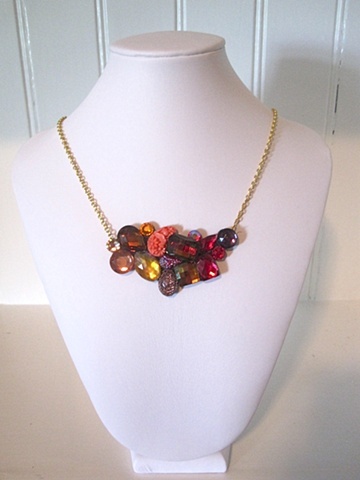 The gems spew and curl to form this one of a kind, full of swarovski's galore.